When you want the world to know what you have to say, banners are a very economical choice. How the banner will be used. Vinyl, mesh or fabric? We can handle it all. Special cut patterns to protect against wind damage. UV coating to enhance colors under different lighting conditions. 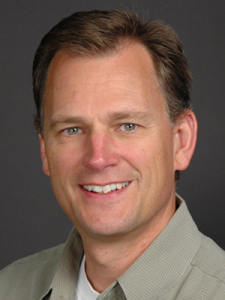 All of these factors influence the substrates and inks that need to be employed. Answers to these questions dictate the finishing that will provide you the highest versatility in mounting and use. And, we take pride in a product that holds its visual appeal over time. We are ready for your order, anywhere from one to thousands. We pride ourselves on the capacity to produce your project quickly. 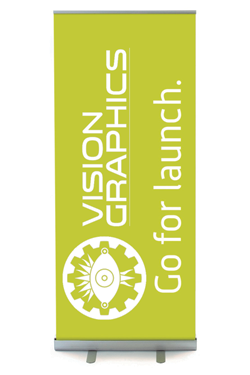 When you decide you need something a step up from the corner quickie banner shop, Vision Graphics is your next call. Easy to place. Easy to move. Easy to store. 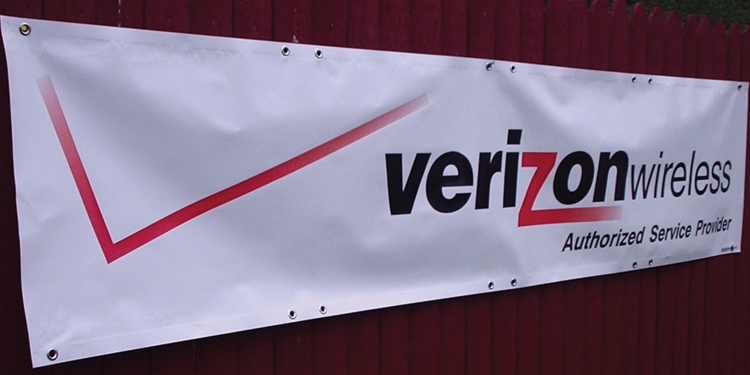 Whether your message is big or small, retractable banner stands provide a very easy way to place your visual communications in any location. Our hardware provides for easy open and close, with setup requiring as little as 15 seconds per stand. 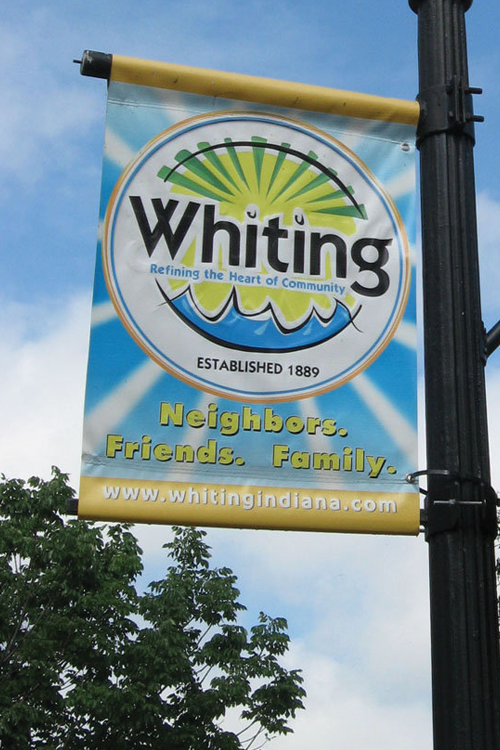 The actual banner material can be replaced as often as desired, allowing the hardware to provide a long life of service. 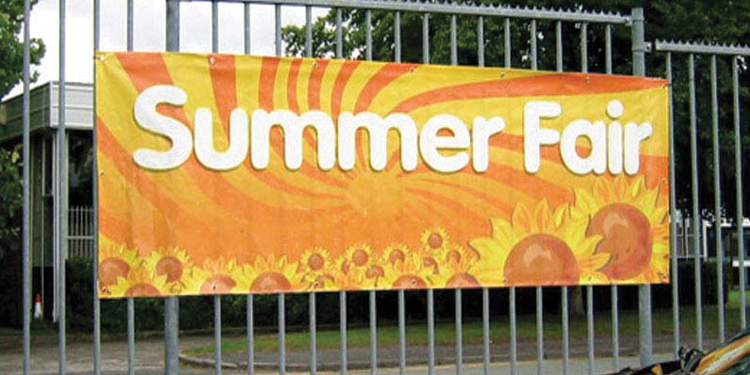 Banners can be anything you like, including promotional information, directional, information or simply for aesthetics. 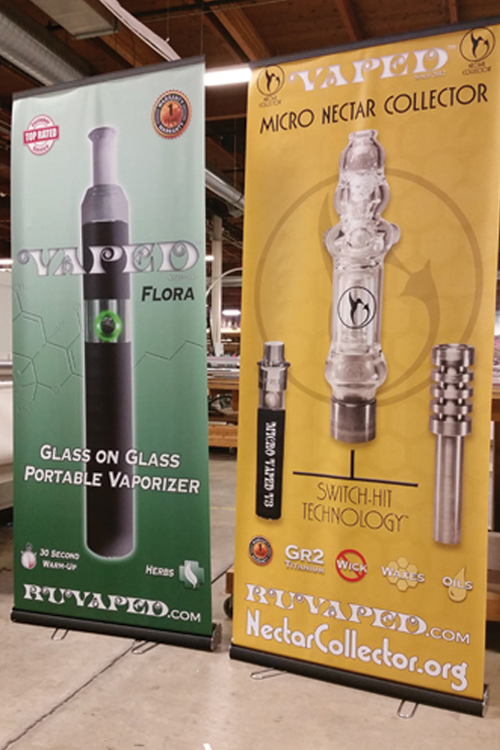 Single or double-sided banner configurations available. 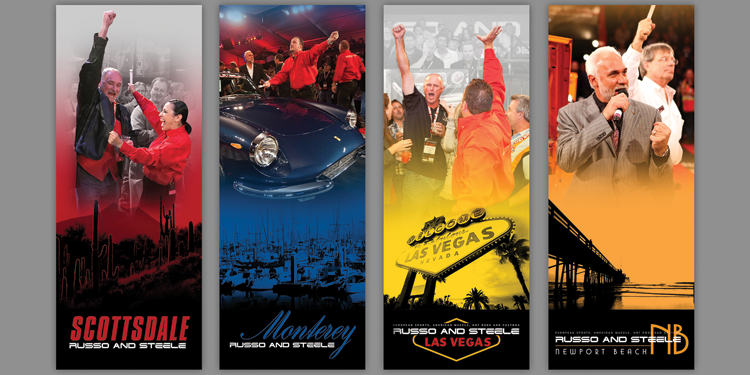 Vision Graphics provides the highest-quality substrates for durable banners. We are prepared to produce one or dozens, and rush jobs are welcome. 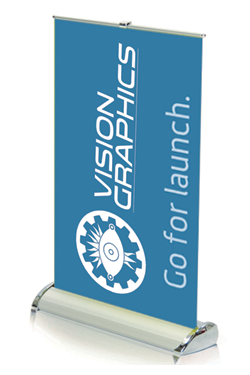 Contact Vision Graphics today for quality design, production and assembly of your next retractable banner stands. Mounting options (Grommets, pockets, Velcro, and just about anything else. We are ready for your order, anywhere from 1 to thousands. And, we can turn the project quickly. Cool, functional and durable messaging for the outdoors. 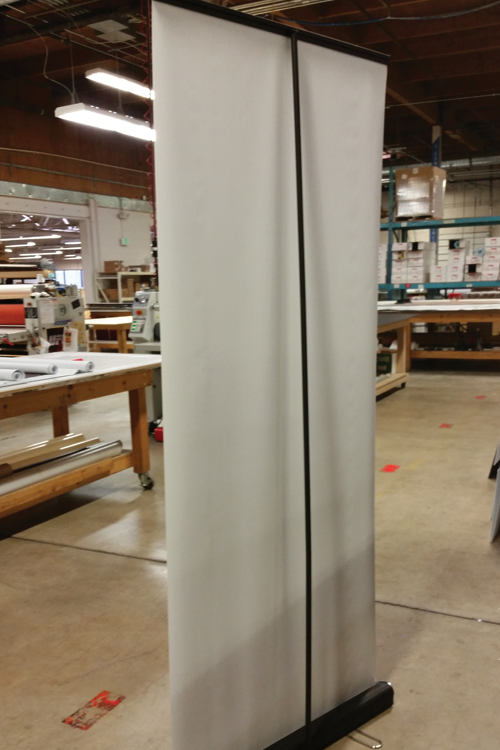 Teardrop banners have a flying effect that will help draw attention and increase the impact of your message. The shape of this bow flag is unique which also aids in capturing the attention of passersby. 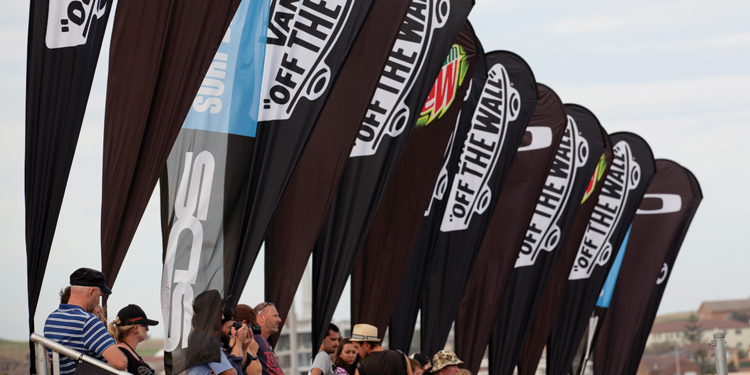 The teardrop banner, also known as a flying banner, enhances your company’s presence and draws attention at marketing events. 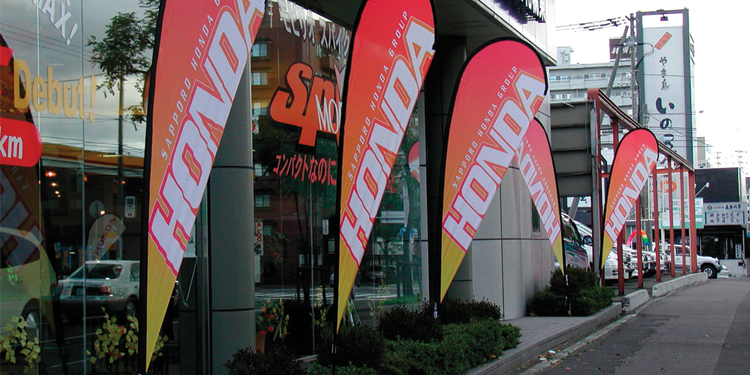 With a variety of flags that stand up to 16-feet high, a set of flags outside your business can’t help but attract attention. 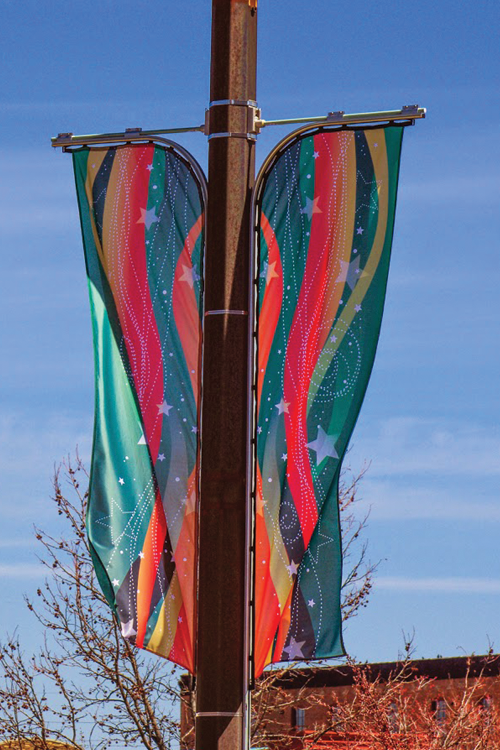 Each flying flag features an eye-catching shape that is stretched tight by the spring tension of the pole. The semi-curved design ensures that the flag is always open. There is never a need to have to adjust the flag to make sure that your message is visible. 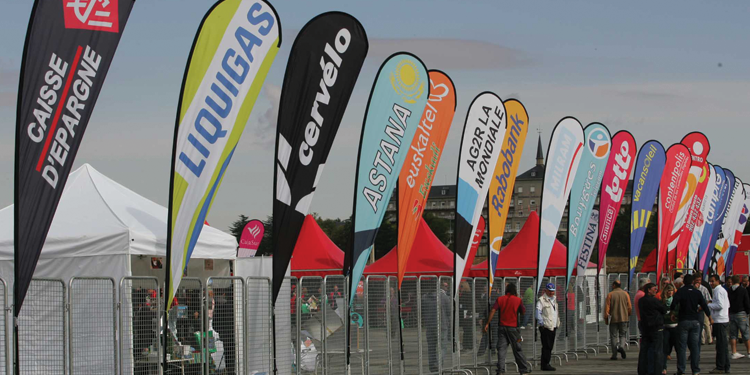 Because of their unique flying design, these tear drop banners are ideal for outdoor events where wind is a factor, and where someone might have to worry about “un-twirling” a normal flag or banner. Your advertising stands will remain visible to your audience, yet won’t make an annoying “flapping” noise while flying in the wind. Although ideal as outdoor flags, these feather flags are equally impressive indoors. 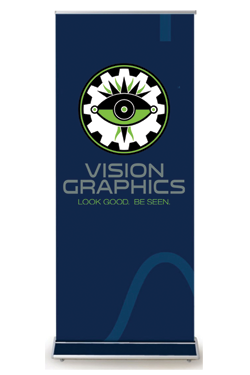 Vision Graphics sells the entire setup, including all necessary hardware. 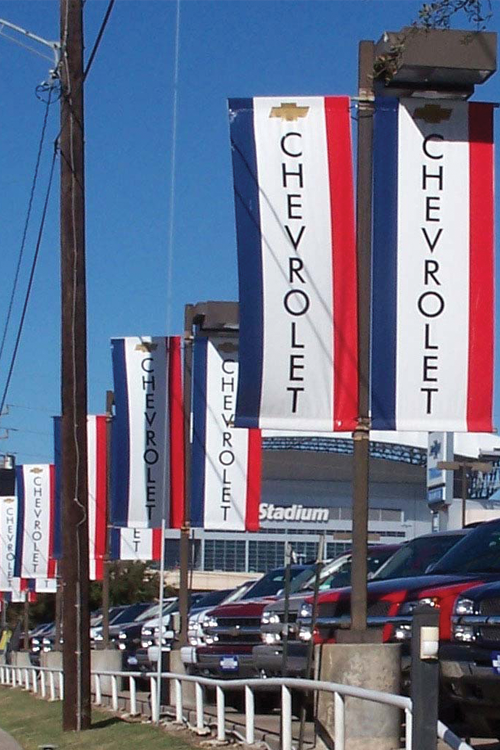 We also can produce replacement flags for your existing hardware, which helps you maximize the value of your prior investments. 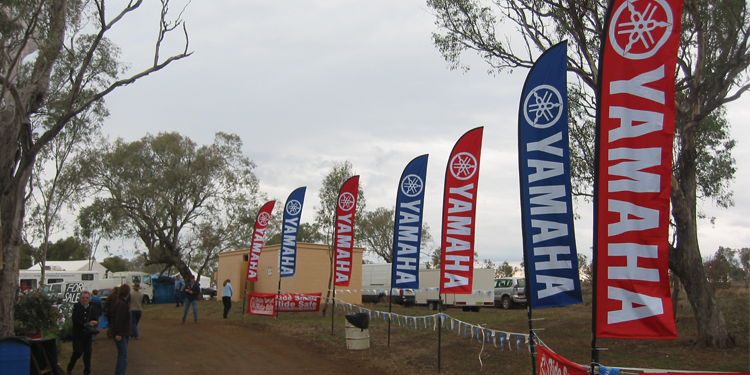 If your business needs an eye-catcher, or your existing flags are starting to look a little bit worn, let Vision Graphics update your look and provide that lift to your image and business.